Discussion in 'Forestry Community' started by jacob j., Feb 22, 2016. Most of us work outside, or have in the past, or do when we get a chance. I figgered we need a thread to post pictures of our outside activities, or just cool pictures of work in the woods. This picture hung on Saw-King's wall for years- I think it's one of the Rondeau brothers circa about 1979-1980. 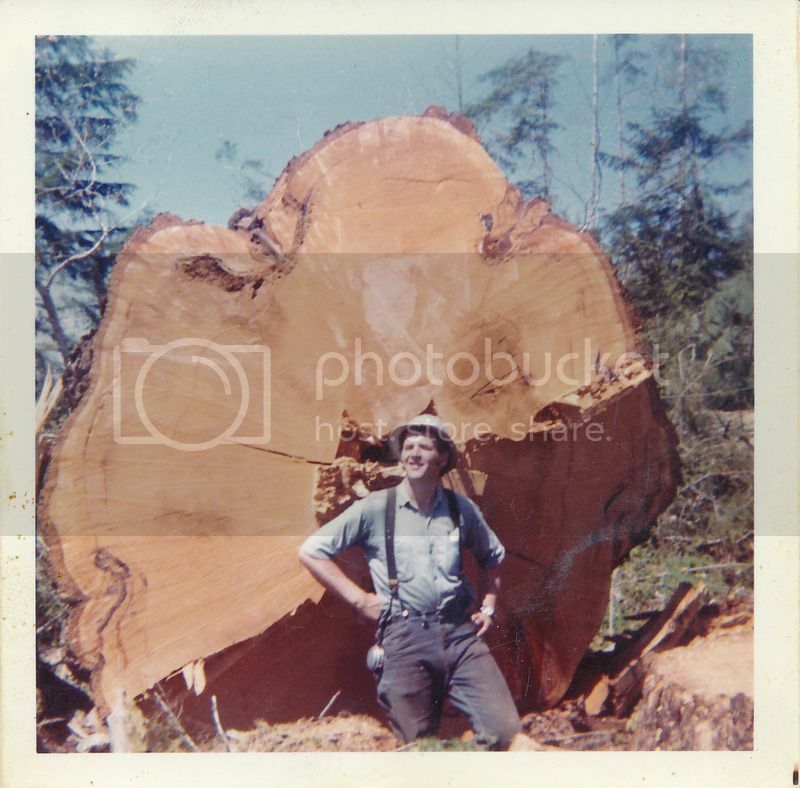 I fell timber with several of the Rondeaus from 2002-06.
timblankenship63, Funky sawman, jk14 and 18 others like this. Funky sawman, jb-chainsaws, ray benson and 14 others like this. 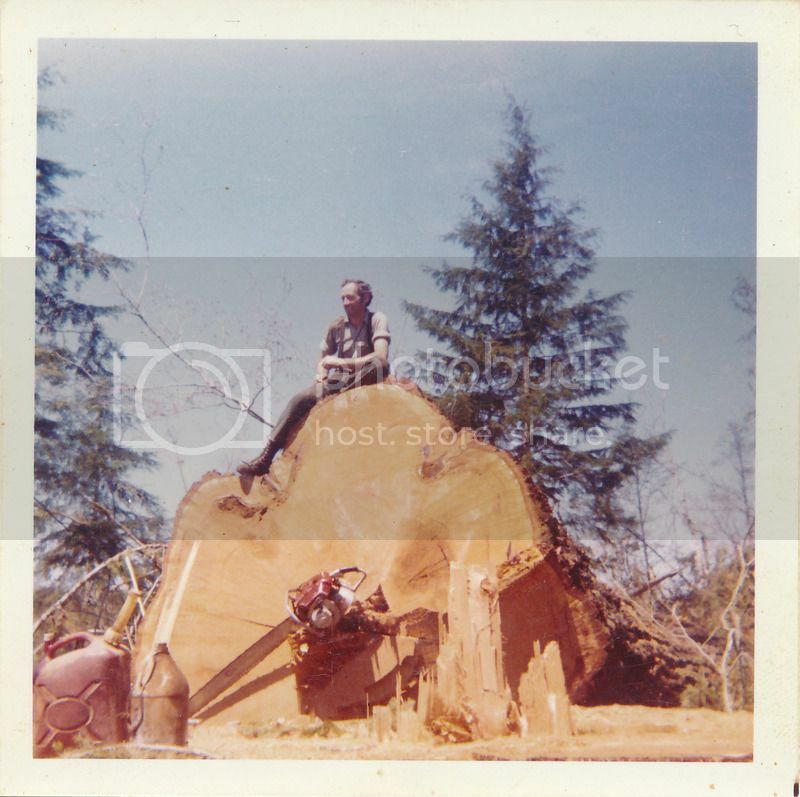 Taken around Eatonville, Wa., circa 1970.
timblankenship63, Stihl working Hard, ray benson and 15 others like this. Funky sawman, jk14, ray benson and 13 others like this. 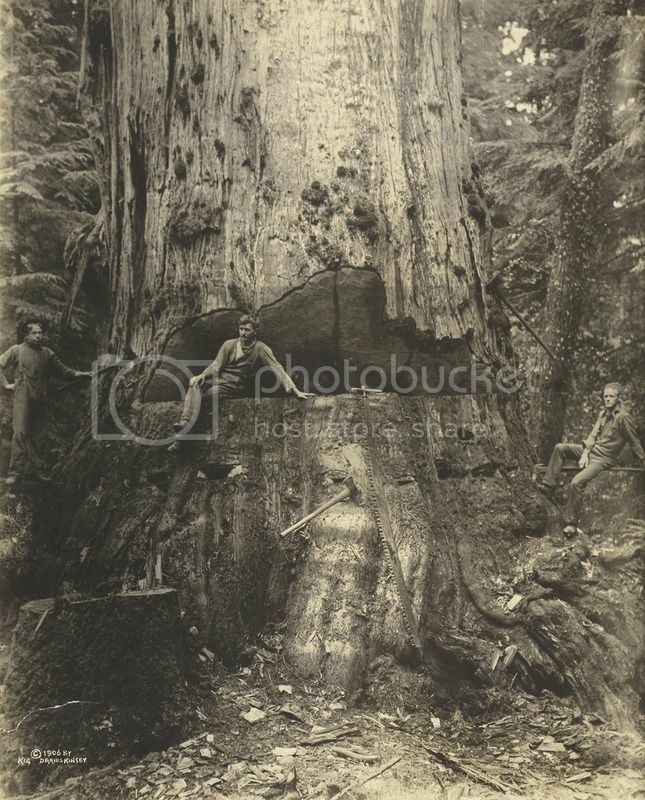 timblankenship63, jk14, Stihl working Hard and 19 others like this. 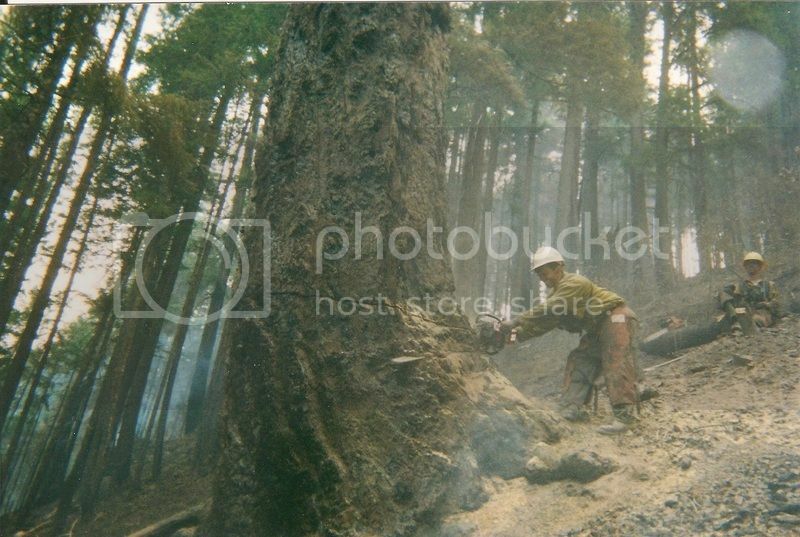 Myself falling a 7' diameter snag on the Apple Fire- 2002.
timblankenship63, Cat 525, Dolmar Junkie and 28 others like this. My favorite Kinsey photo of all time. timblankenship63, Cat 525, jb-chainsaws and 25 others like this. jacob j. and stihl sawing like this. I love looking at pictures. Thanks for sharing JJ. 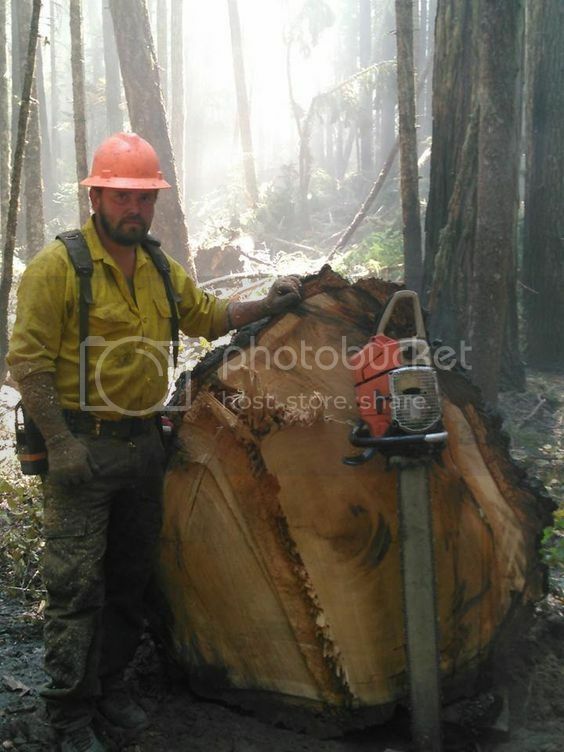 johnathan88, jacob j. and stihl sawing like this. dall Soon to be banned fart knocker. A lot of cool stuff goes on daily here and never recorded with photos ,just another day at work for most of these guys. Cat 525, treesmith, Majorpayne and 3 others like this. And then 30 years later you wish you had more pics. 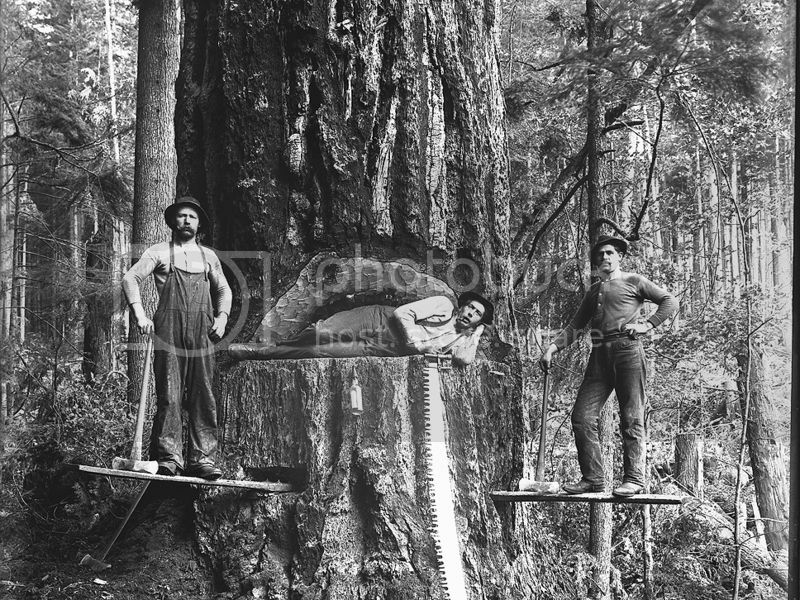 I think I have one pic of when we had a sawmill. ajschainsaws, mdavlee, junkman and 2 others like this. I have some pics of my old hotrods.......somewhere. I wish I had thought to take more. Funky sawman, Majorpayne, jacob j. and 2 others like this. stihl sawing Here For The Long Haul! 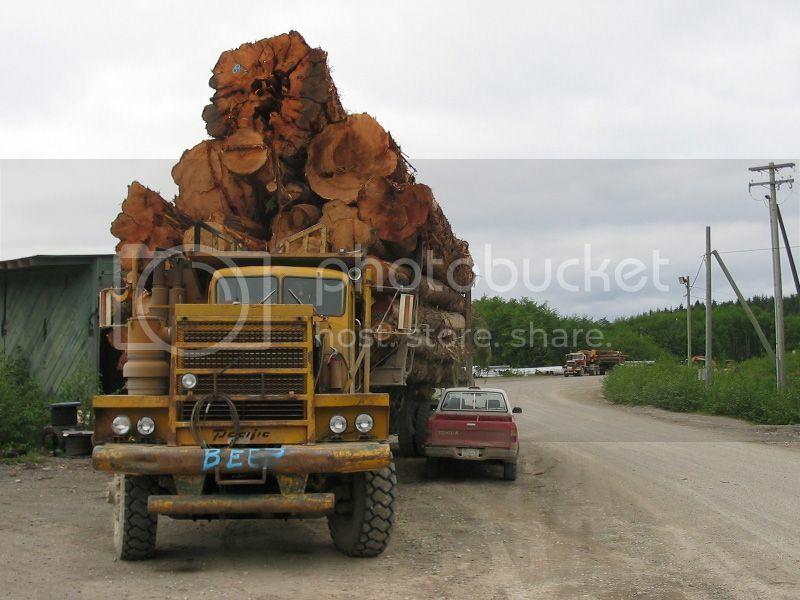 J J Has some awesome logging pics. Thanks for letting us neophytes have a look. Cat 525, Hinerman, Moondoggie and 15 others like this. Here is one i took on the way to work today ,that log pile was huge yesterday ,wish i could have got that image ,they must have hauled a bunch yesterday .Second pic is driving down the highway .Third is a load i followed in ,my work is 1/2 mile past where this was took .Where the wite ford is parked next to the log truck is Double LL timbers shop ,one of the bigger companies here in town . ray benson, madhatte, Brian Simonseth and 8 others like this. junkman, stihl sawing and mdavlee like this. 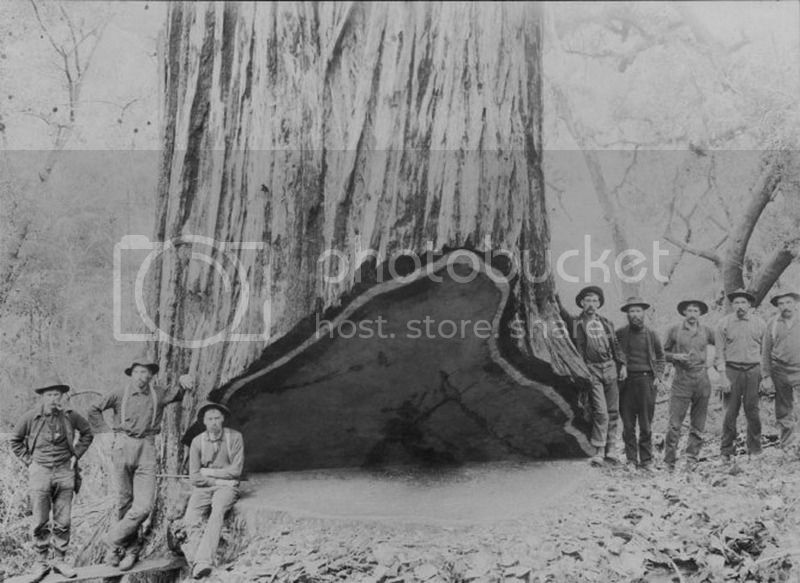 ray benson, Majorpayne, HighSierras and 8 others like this. 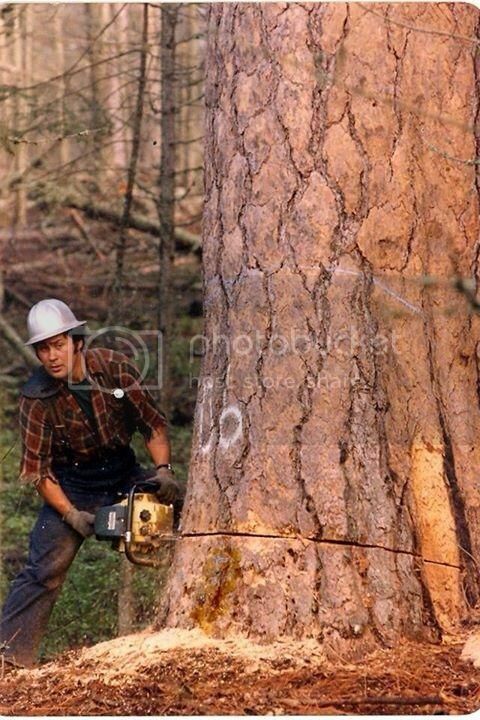 David Young, ray benson, Adirondackstihl and 11 others like this. Husqvarna technical forestry helmet and my hot wife.